In EY2 we have places for up to 28 2-3 year olds. There are 16 places which are allocated for supported day care, referred via a panel from health visitors and outside agencies. The remaining 12 places are fee paying. In this room we have one adult working with up to four children, therefore the adult to child ratio is 1:4 at all times. 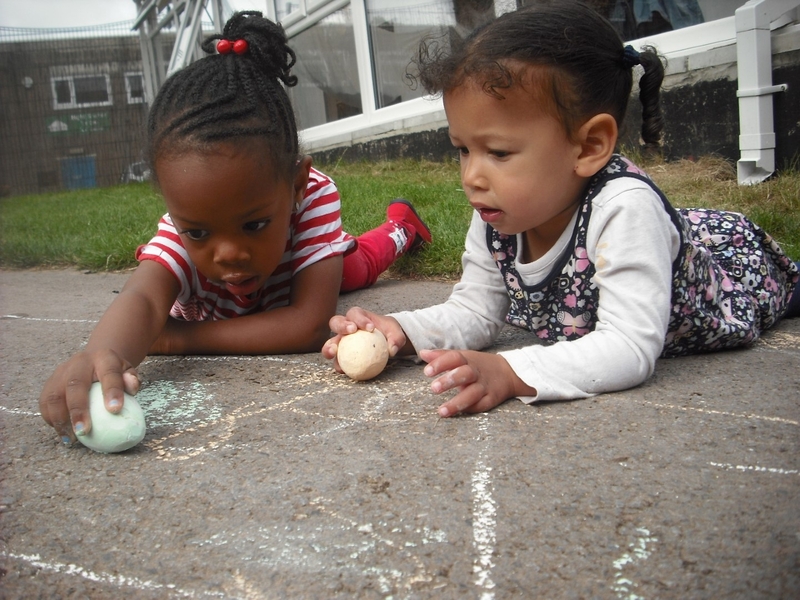 We have a safe, stimulating working environment, both inside and outdoors, in which we encourage the children to explore and experience new things, enabling them to grow in confidence and independence. All children are allocated a key person who will support them throughout their time in EY2. We work hard to develop trusting and rewarding relationships with all our children and their families. Our Staff team in EY2 work together to plan from the children’s individual and group interests and provide opportunities to extend their learning. All children have individual learning journals and there will be plenty of opportunities to discuss your child’s settling in and progress with their key worker during the time they are with us. If you would like your child to move up to the Nursery School, you will have to re-register them for a school place.